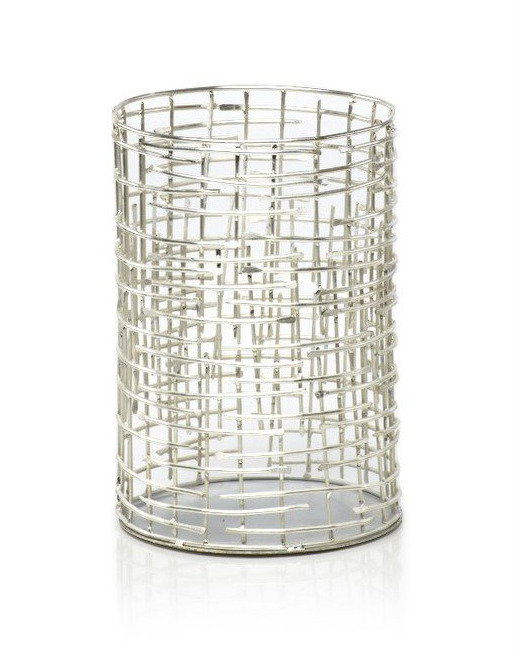 The silvertone crosshatch candle holder by Zodax is a nice accent to both modern and rustic homes. This small size stands about 6" tall. Great for use with a tealight or votive candle (not included).